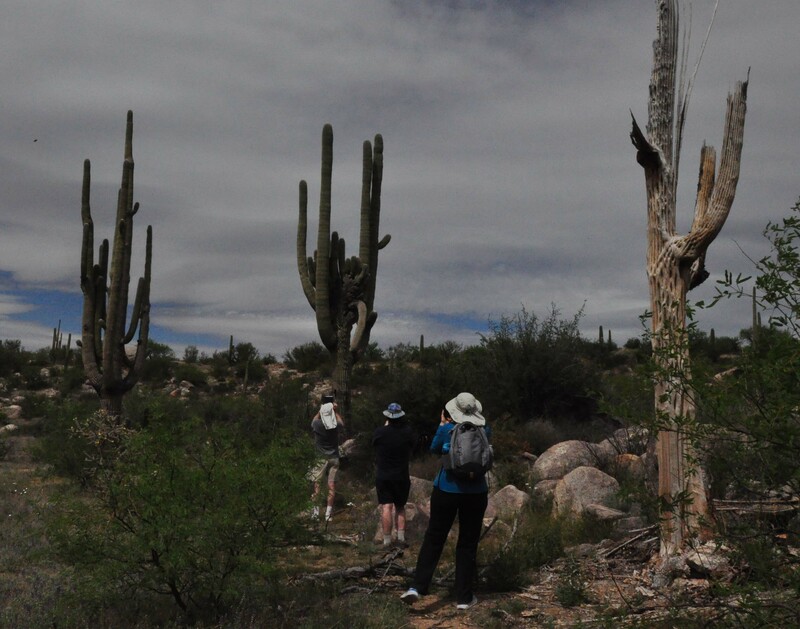 Recently our congregation in Tucson, Sunrise Chapel, celebrated the 30th anniversary of its building. All five of our children were here for the event, and even put together a musical combo – “the Band of Roses” – for our enjoyment. 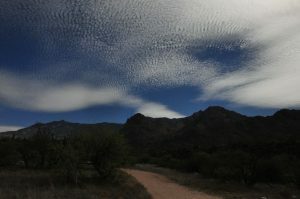 Our oldest son had to leave early Monday, but the other four were able to join me in a walk in Catalina State Park. The flowers were magnificent, the buttermilk sky, amazing. One of the group spotted this unusual saguaro. 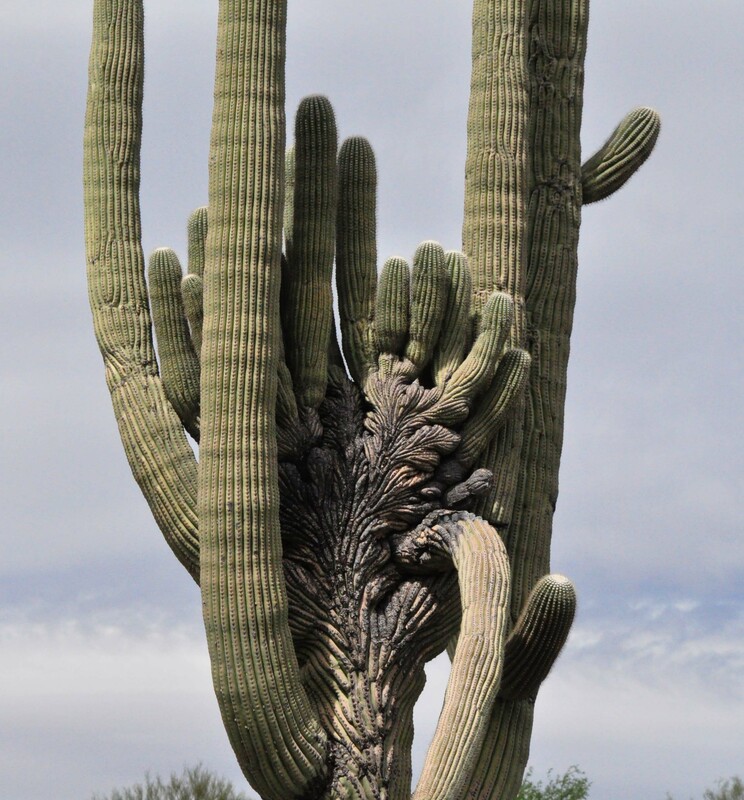 There are a number of crestate saguaros in Arizona, but this one was different. 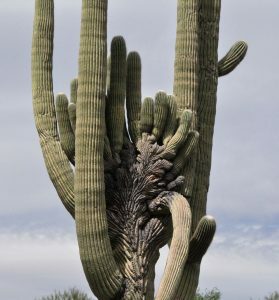 The crest was surrounded with arms, and protruding out of the crest were about a dozen new arms. 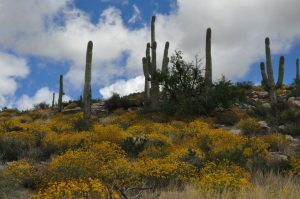 Ed and I were looking at plants in Saguaro National Park East, and saw a flash of yellow in the middle of a nearby shrub. We wondered what it was. “I think it is a yellow mustard”, I said. Ed reached in, and pulled it out. And this is what he had in his hand. 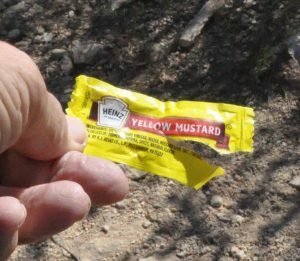 It was clearly labeled: Heinz Yellow Mustard. 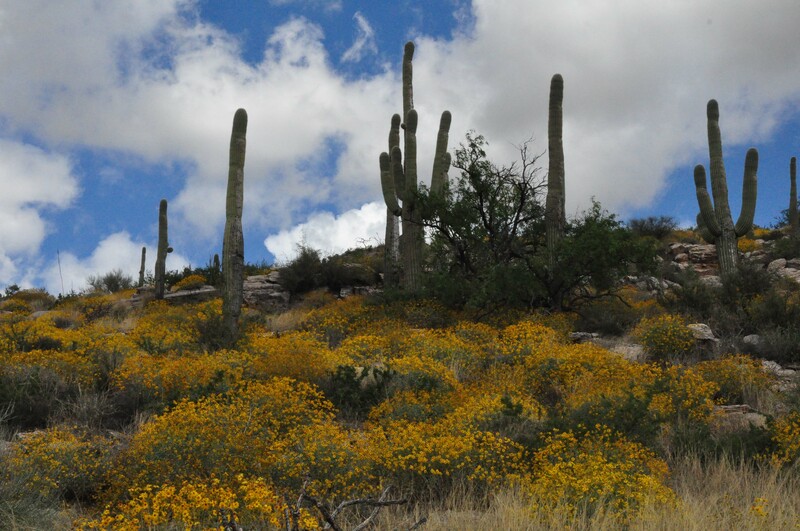 Every time we hike, we see new plants coming into full and glorious bloom.